I love Reese's Peanut Butter Cups, so I decided to make Reese's Peanut Butter Cup-Stuffed cookies. 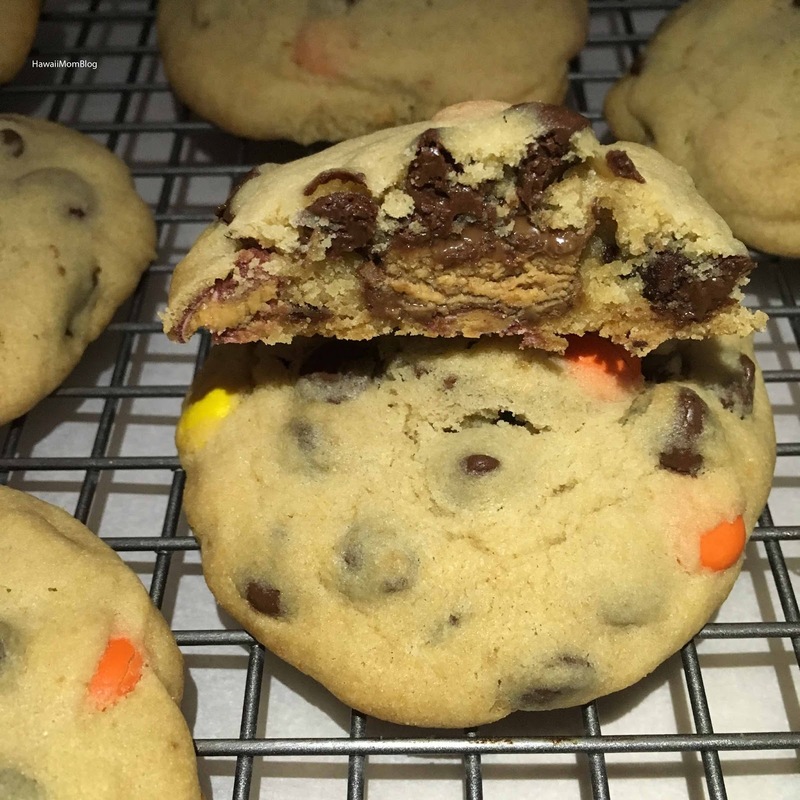 For the cookie, I made a combo chocolate chip + Reese's Pieces cookie. 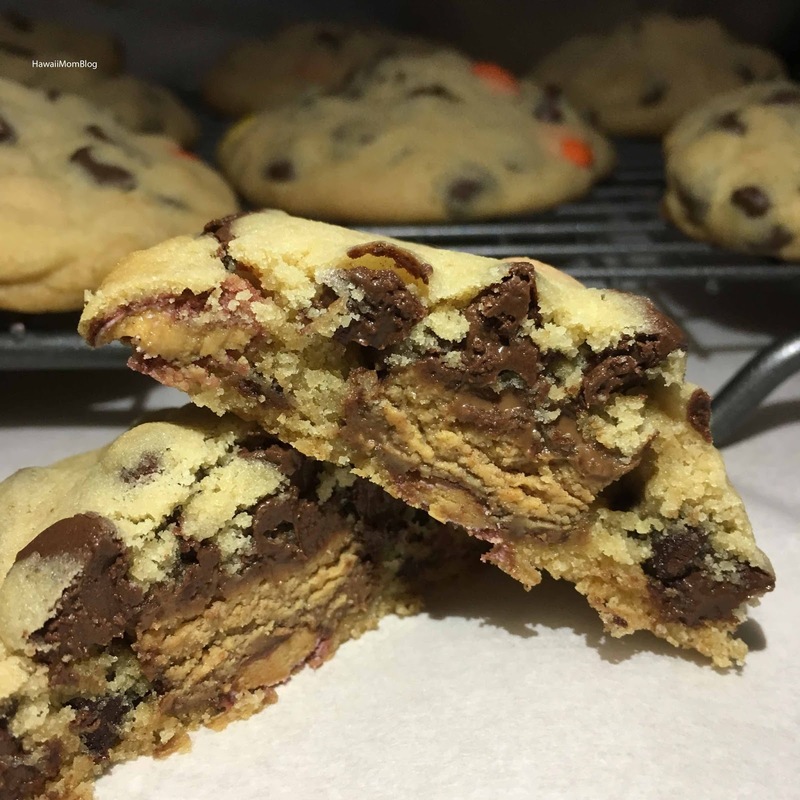 You can make the cookie as big or as little as you want (I made them pretty big). I also chilled the Reese's Peanut Butter Cups ahead of time so they wouldn't melt as I prepped the cookies. The Reese's Peanut Butter Cup center is such a sweet surprise! 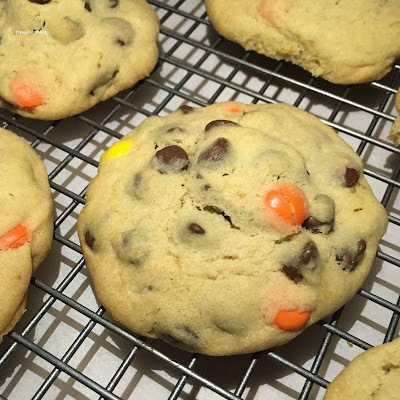 In a separate medium bowl, mix together the flour, baking soda and salt. For each cookie, take 2 teaspoonfuls of dough and wrap around Reese's Peanut Butter Cup Miniatures. Place onto parchment-lined baking sheet. Bake approximately 13 to 15 minutes.